"Do you also feel need to centralize logs? Choose one of the approaches and patterns that suits you the best. 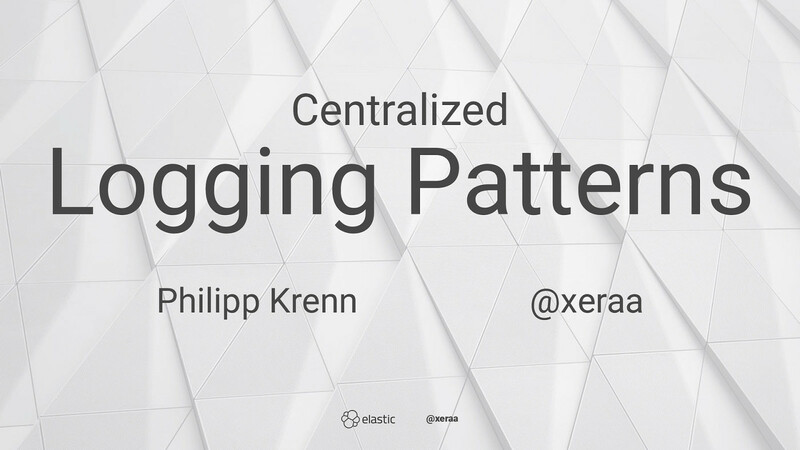 I will talk about parsing, sending, structuring, containerizing and orchestrating. Each pattern has its own demo, so you can easily try out the different approaches in your environment," Philipp Krenn from Vienna, Austria introduces with his talk. He is part of the infrastructure team and a developer advocate at Elastic. Additionally, Philipp is organizing multiple meetups in Vienna.